Carlson Civil is a complete civil engineering software featuring ‘Fair Price. Full CAD. Free Support! The software includes support for AutoCAD® versions 2010 to current and the improved and stabilized IntelliCAD®8.3 comes built-in. Carlson Civil provides the most robust automation and ease-of-use of any civil design solution available today, and it does dynamic updating without a single custom object. Carlson software is provided as a perpetual license with no requirement to update every year. 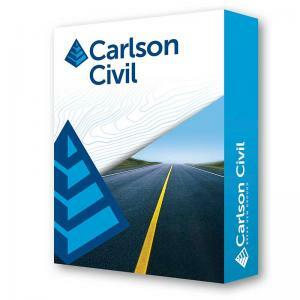 Carlson Civil is the civil engineering design software that puts you in the passing lane! What might take days with other civil engineering software takes just hours, or even minutes, with the powerful and intuitive Carlson Civil–it’s advanced technology that will work for you. CAD managers can share command settings company-wide. With Carlson Civil, you’ll get true 3D, easy-to-use 3D, plus, with the updated 3D Flyover, any surface edits made in CAD are automatically updated in the 3D view. Carlson Civil is one component of the Carlson Civil Suite and is designed especially for civil engineers and CAD technicians who need power and flexibility to make “short work” of even the most challenging design projects. At its foundation, Carlson Civil contains sophisticated and integrated command sets that are easy to learn, cost-effective and even fun to use!